In a recent blog post, Google announced that that they are adding unsampled reports to the Google Analytics Management API for their premium analytics customers. 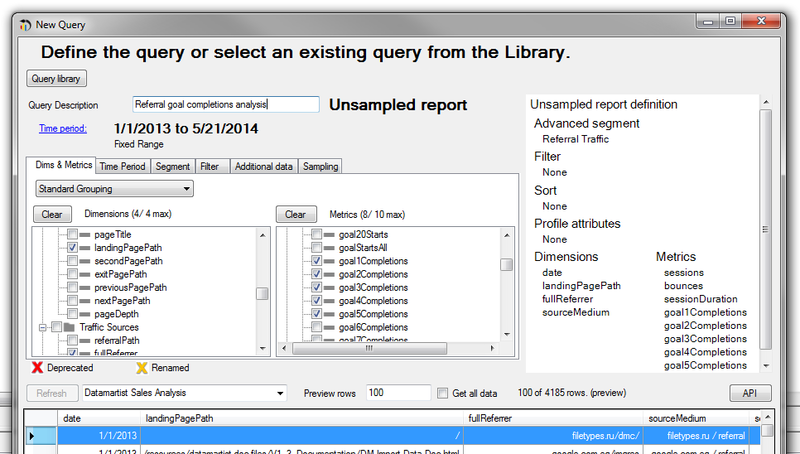 Unsampled reports are a great way to acquire details in depth on order to take even more accurate decisions. Google by default uses sampling technique in order to process data faster. If you are still unaware about what sampling means then have a look at this article about data sampling in GA. The Unsampled Reports feature provides accurate analysis of large unsampled data sets and also provides a way to integrate the API into your Business Intelligence (BI) system. This makes retrieve unsampled data easier and provide accurate metrics that support your critical business decisions.